Nothing is as scary or as traumatic as being in a serious auto accident. 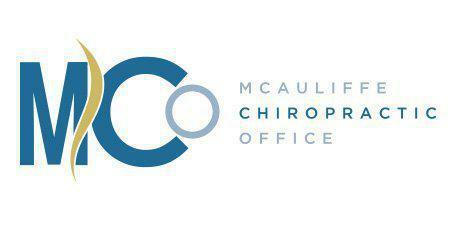 If you have suffered an auto injury, come visit McAuliffe Chiropractic right away in our Laurel, MD office. We have decades of experience in handling auto injuries and can help you get on the road to recovery. What Are the Common Auto Accident Injuries? Whiplash is perhaps the most common auto accident injury. This is a serious injury that causes severe strain on the soft tissues of the neck and upper back. Some people do not experience immediate pain with a whiplash injury and may only start to feel the effects hours, days or even weeks later. If whiplash is not treated, it can have serious, long-term effects. Whether you have suffered whiplash, a few bumps and bruises, or more painful hard tissue injuries, make sure that you see a doctor of chiropractic right away for a full evaluation so you can start on a path towards relief. How Does Whiplash Happen in an Auto Accident? When a vehicle collides with another object, the body doesn’t have time to prepare for this sudden and abrupt stop. During most accidents, the neck goes into extremely rapid extension and flexion that can cause injuries during an impact. This harsh, jerking moment can have a serious impact on the nervous system, muscles, joints and tissues throughout the neck and back and often causes severe misalignment. While auto accidents are the most common cause of whiplash injuries, they can also occur in other forms of collision including falls and sports injuries. How Are Auto Accident Injuries Treated? Auto accident injuries are generally managed with an integrative chiropractic approach. Most patients come to see a chiropractor when they are in the acute phase of auto accident injury, directly after the accident. At this point, the primary objective is reducing the patient's pain and inflammation. One of our doctors will perform a full set of x-rays on your spine and perform gentle muscle manipulations, and adjustments to help relieve your pain and help you begin the healing process.